Some men have either defective sperm genes and can't make sperm (some conditions known as azoospermia), or have defective genes that affect other bodily functions. Until the 21st century, there was nothing men could do - they had to live with the inability to produce sperm, or while living with a disease caused by a defective gene, having the fear of passing that gene onto their children (and there are some reallllllly nasty genetic diseases). Religious people might argue - tough luck that is God's will - but scientists, thinking about similar objections against giving women anesthetic during childbirth, argue "if we can fix it, let's fix it". Such techniques were and are controversial. 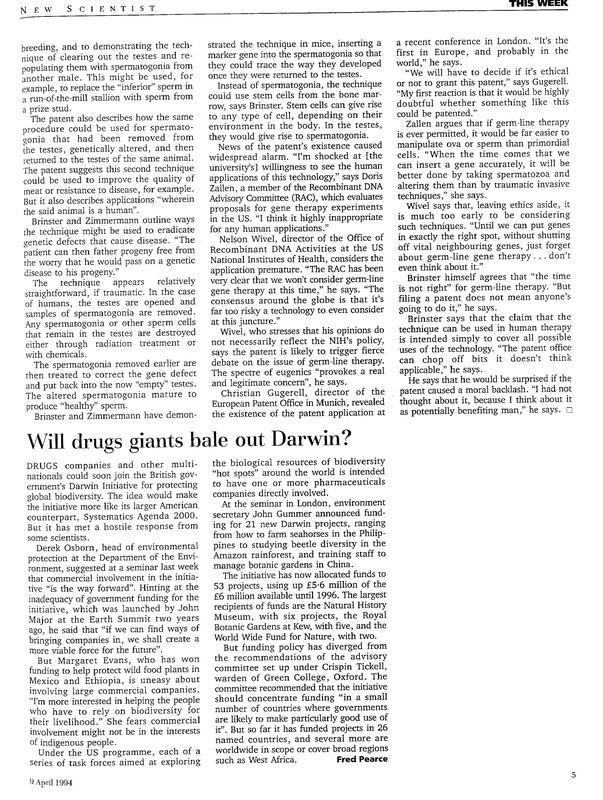 Indeed, when Brinster's and Zimmermann's work became publicly known thanks to an April 1994 article in New Scientist, there was an uproar around the world. 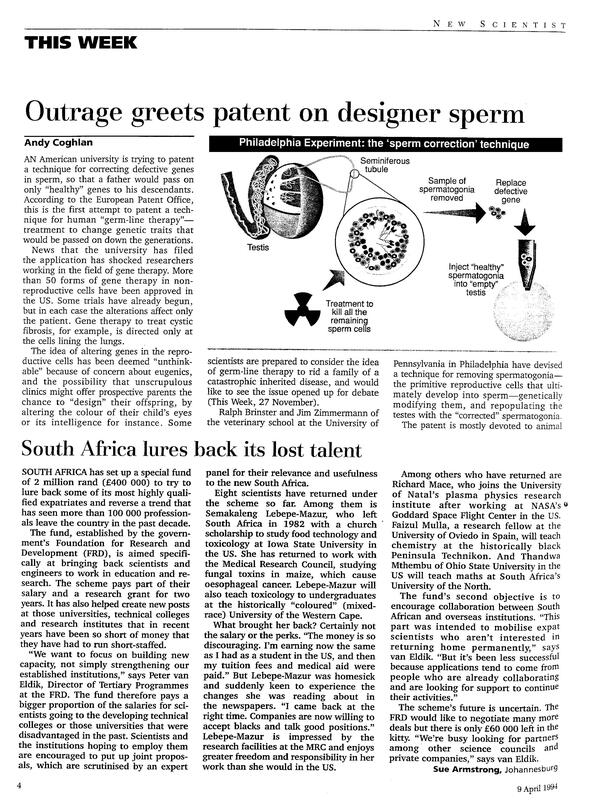 Interestingly, despite the scrutiny given to their work in 1994, no one bothered to closely read their patent application and notice a suggestion made with regards to female sperm ("no one" including the Bioethics Center at the University of Pennsylvania where Brinster and Zimmermann were doing their work). Click here for Page 1 and Page 2 of the original article. In the years to follow, other labs confirmed Brinster's results with mice, including demonstrating that replanted germ cells that were transformed into sperm can be successfully used to fertilize eggs. 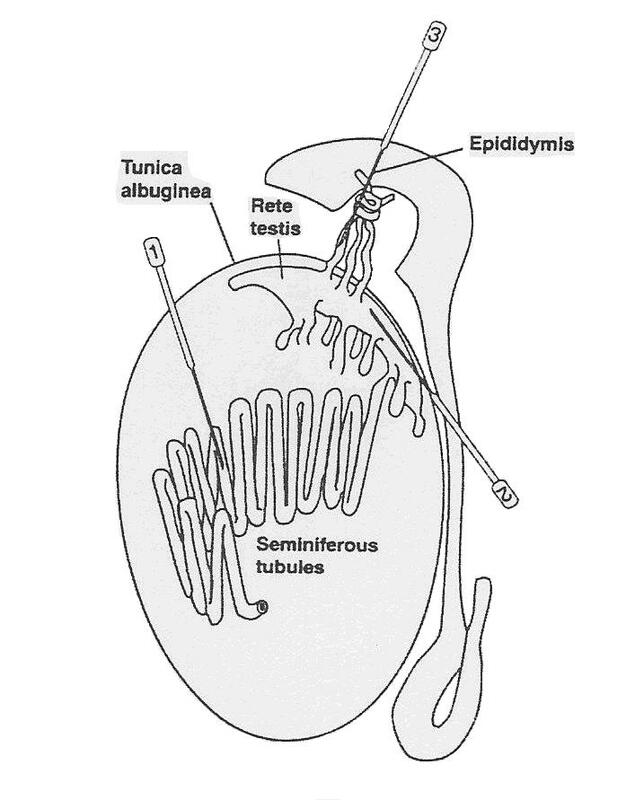 A male host animal is prepared by destroying the native germ cell population in the seminiferous tubules by a method that leaves intact (i.e. biologically functional) the supporting cells, including the Sertoli cells. Suitable known methods include physical means (e.g. radiation, heat, etc. ), chemical means (e.g. cadmium, Busulfan, etc. 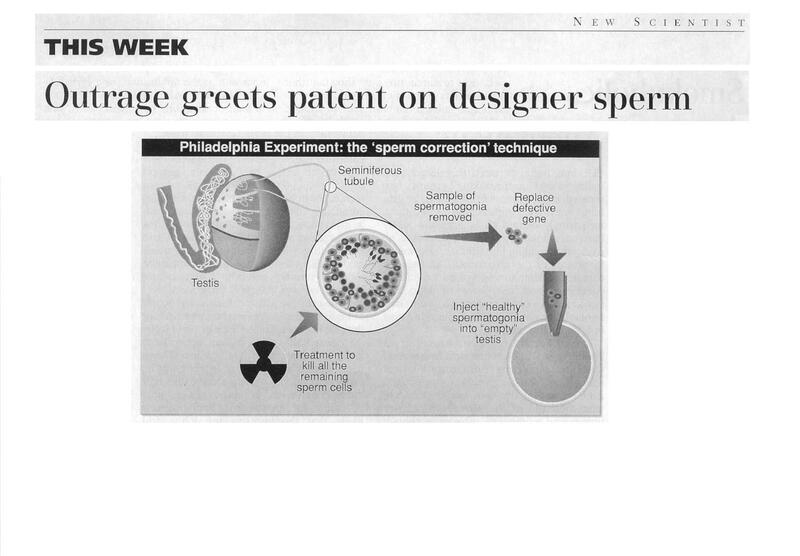 ), but any other known techniques to selectively destroy native sperm cells can be used. Preferably radiation is used, with Busulfan being most preferred. A typical Busulfan treatment is illustrated as follows. Forty milligrams of Busulfan are dissolved in 10 millileters of dimethylsulfoxide, to which 10 millileters of water are then added. An aliquot of this solution is injected intra-peritoneally into a mouse sufficient to administer a dose of 1 milligram of Busulfan per 25 grams of mouse weight. Busulfan is a drug used in chemotherapy since it targets dividing cells (and cancer cells do love to divide, as do germ cells). 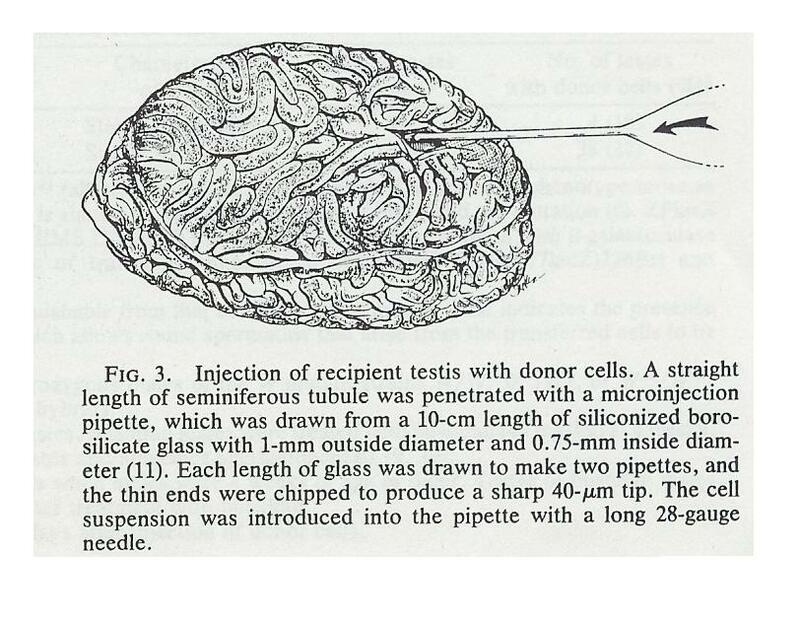 Finally, we inject the germ cells back into the testicles of the male from whom the germ cells were extracted (or another male who volunteers the use of his testicles - the testis is immune-privileged), preferably into the seminiferous tubules [needle (1) in the diagram below. Once injected, the altered germ cells go through the processes of spermatogenesis and spermiogenesis to have sperm created, in particular, with the germ cells being paternally imprinted. As Brinster point out, you can use another male to inject the germ cells into, make like women who make their wombs available. Indeed, you might not even need a male of the same species. For example, Brinster has been able to grow rat sperm in mouse testicles, even though mouse sperm and rat sperm take different amounts of time to grow.. He was not as successful growing germ cells in mouse testis cells for less related animals such as dogs, cows, pigs, primates. Rat and mouse testis cells have much in common since rats and mice diverged genetically only about 10 million years ago, while the other animals diverged genetically over 50 million years ago, and therefore their testis cells have less in common. The environment required for stem cell and undifferentiated spermatogonial cell maintenance appears to be highly conserved, whereas factors necessary for the differentiation process diverge more quickly. Thus the rigid species timing and pattern of germ cell differentiation reflects the intrinsic genetic program of the germ cell and is not influenced by somatic supporting cells. I can't see the FDA ever approving of this in practice.